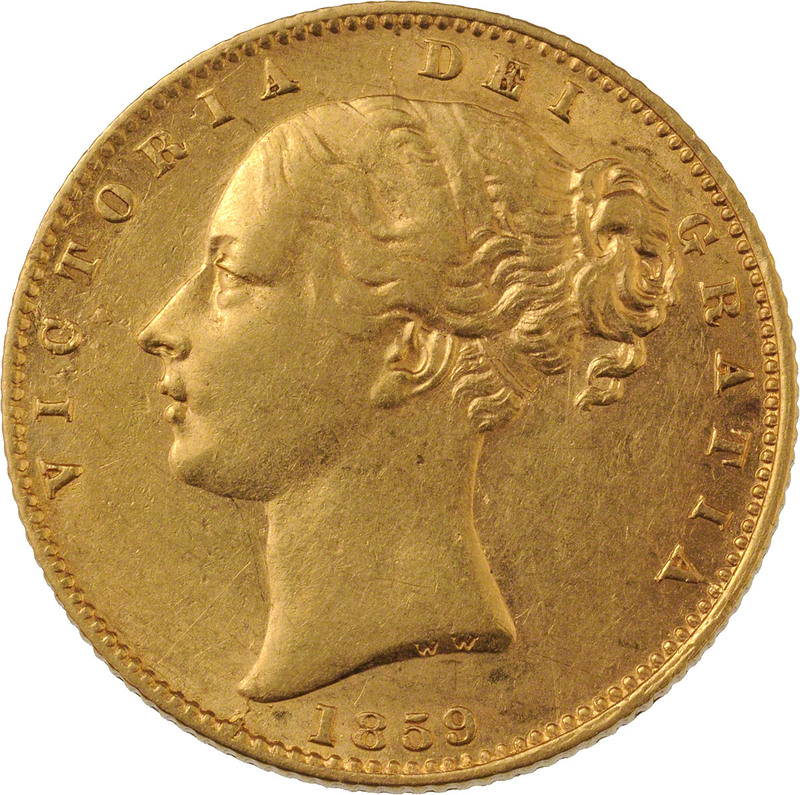 167,539 bullion sovereigns were minted In 1859. The obverse design is by William Wyon and the reverse by Jean Baptiste Merlen . A very collectable coin and harder to source compared to shield sovereigns from other years. High grade examples of this coin are sought after by collectors. 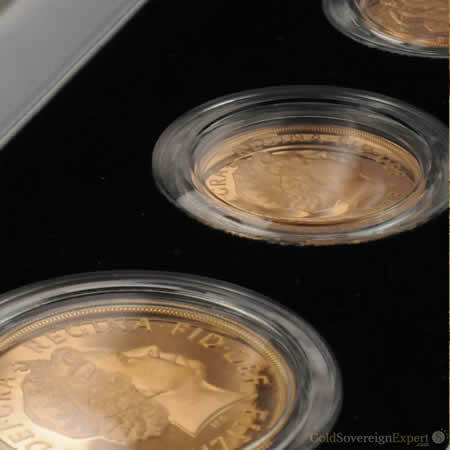 Do you have an 1859 Gold Sovereign? George Ansell was born in Carshalton, Surrey on 4 March 1826. His early career was in medicine and was an apprentice to a surgeon for 4 years. Chemistry was however to be his calling and he subsequently studied at the Royal College of Chemistry, followed by becoming an assistant to German chemist, August Hofmann. In 1856, Ansell joined the Royal Mint following recommendation to the Treasury by Thomas Graham, Master of the Mint. 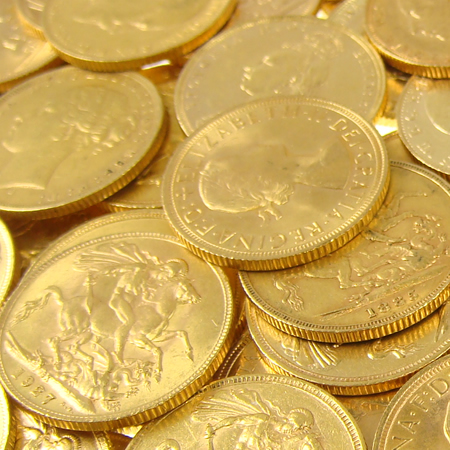 In 1859, a batch of gold was rejected by the Royal Mint. It was found to be too brittle and therefore deemed unfit for coin production. Chemical analysis revealed that traces of antimony, arsenic and lead were present. Due to Ansell's background in chemistry, he was able to persuade the mint to allow him to experiment on the rejected gold. As a result, he was able to produce an incredibly strong alloy that became the 167,539 'Ansell' sovereigns that were struck. For his efforts, Ansell was awared a £100 bonus. According to the Bank of England inflation calculator, this would equate to around £11,000 today. 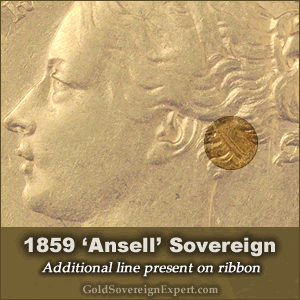 The only identifying feature of an Ansell sovereign is the presence of an additional line on the ribon used to tie back Victoria hair. With only 15 -25 Ansell sovereigns known to still exist, it's a very rare coin. In September 2012, the auctioneer Baldwin's offered for sale one of the finest Ansell sovereigns available. The hammer fell at £13,000 and with buyer's premium at 20%, it took the final purchase price to £15,600. 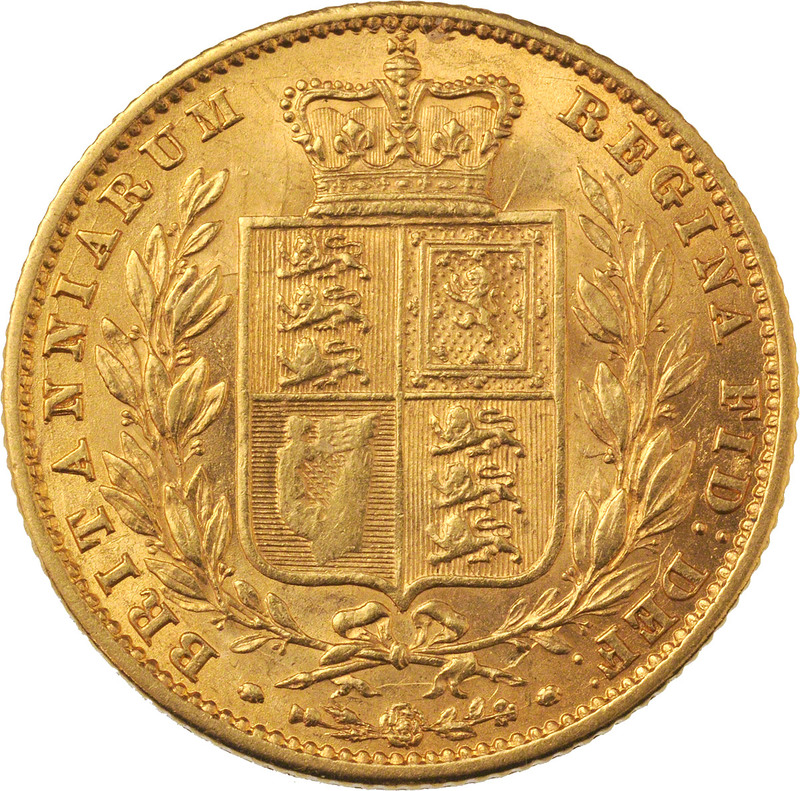 Axis The 1859 Shield Sovereign is struck on a reverse die axis. The following coins are listed on eBay as being for sale.